Waking up to some serious snow this mourning it was just too pretty not to share here along with two pieces from in heavy rotation from Anatomie. Last seen here in this past holiday travel gift guide, look at how beautifully packaged these arrived. Many thanks to Anatomie for sending over such lovely pieces from their current collection to style and travel with. I have to admit that I've never worn anything special or extra comfy while traveling... I wear what I typically do day to day but having these two go to pieces over the holidays has made me want to rethink this. Pulling everything out of your suitcase and finding it crease free, feeling warm but not stuffy, being able to move though different climates without changing. 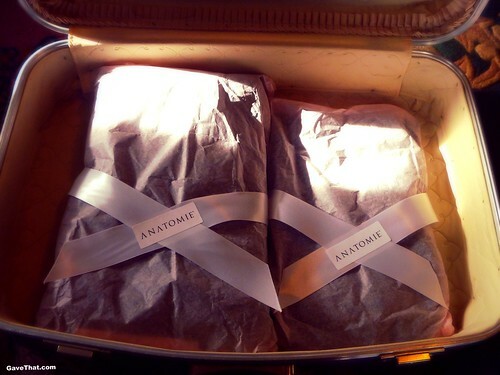 Check, check, check with Anatomie's travel collection. Here I'm wearing Anatomie's Athena blazer, which kept me surprisingly warm out there in the falling snow, over my new absolute favorite, their striped mesh Monte Carlo travel top. Shop the pieces I'm wearing and learn more about Anatomie's designers Kate and Shawn Boyer here.